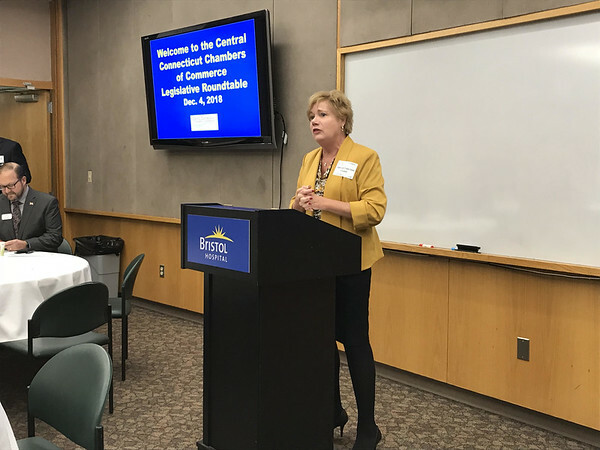 BRISTOL – Local legislators discussed a range of issues including minimum wage and bipartisan cooperation during the Capitol’s next session Tuesday, at the Central Connecticut Chambers of Commerce’s Legislative Roundtable. 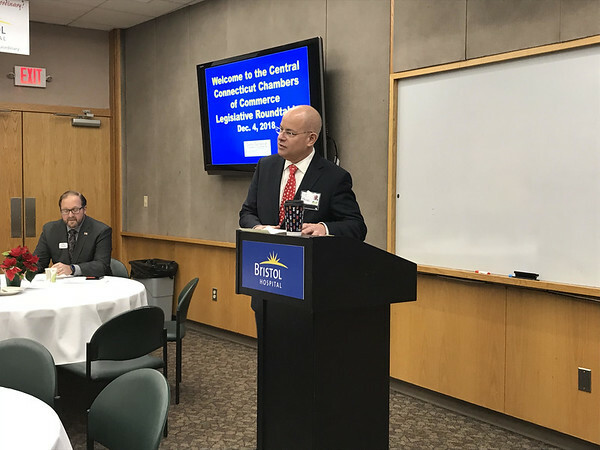 The Roundtable discussion, held at Bristol Hospital, saw local legislators addressing questions from the audience, which included many local professionals. 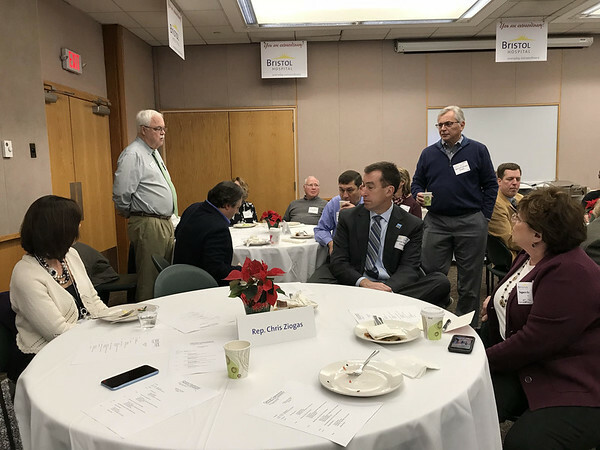 Participating legislators included Sen. Henri Martin (R-Bristol, Harwinton, Plainville, Plymouth, Thomaston), Rep. Whit Betts (R-Bristol, Plymouth, Terryville), Rep. Cara Pavalock-D’Amato (R-Bristol), Rep. Chris Ziogas (D-Bristol) and Rep. Mike Demicco (D-Farmington, Unionville). 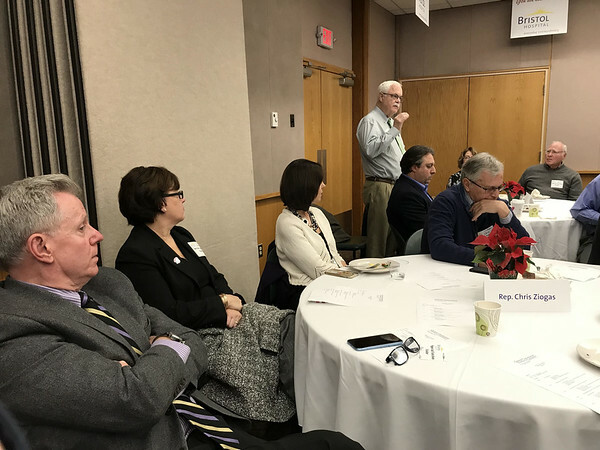 Paul Lavoie, chair of the Regional Legislative Action Committee, said that this event was “an opportunity for the business community to interact with legislators.” He thanked all of those who participated. 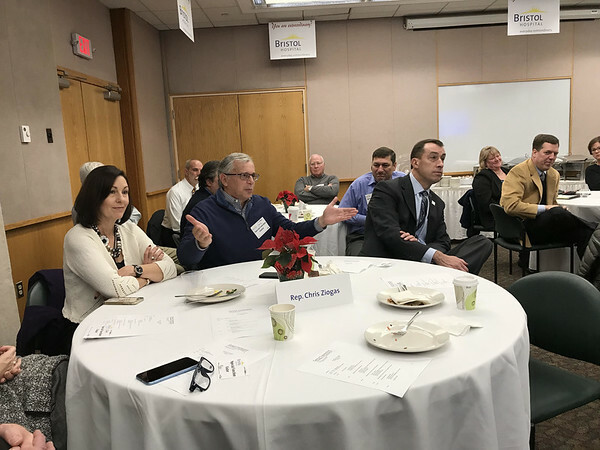 Cindy Bombard, president and CEO of the Central CT Chambers of Commerce, and Kurt Barwis, chair of the Bristol Chamber Legislative Committee, also welcomed the guests. Bombard began the discussion by asking the legislators what they thought about increasing the minimum wage to $15. Betts said that the chances of such an increase passing were high. 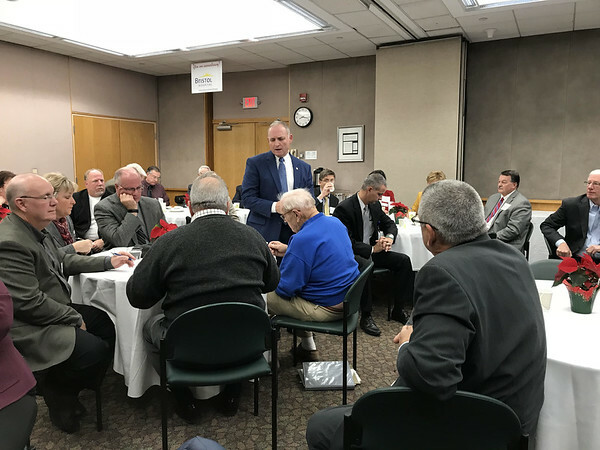 He encouraged small business owners to go to the capitol and educate legislators about the impact. Martin agreed with Betts that a higher minimum wage will lead to more automation. 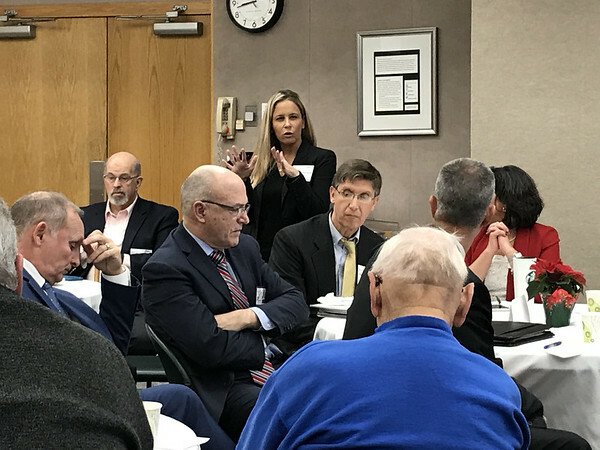 Demicco argued that a higher minimum wage will mean less employee turnover. He said that more money in people’s pockets means more economic stimulus and that many people are stuck working minimum wage jobs to support families. 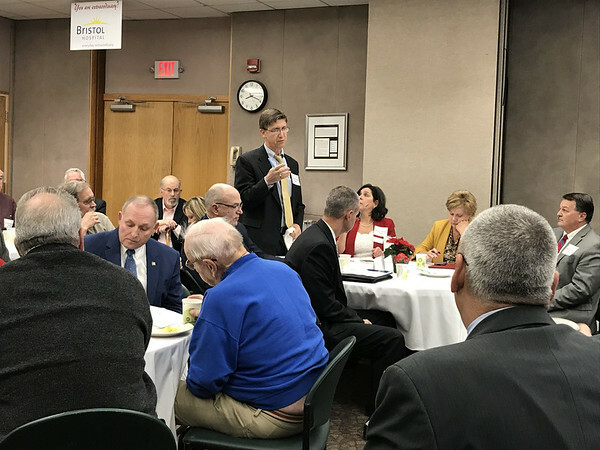 “You may also have to brace yourself for a $2 cup of coffee at Dunkin Donuts costing $5,” said Lavoie, who suggested that perhaps legislators could establish a “training wage” to pay employees under 21 less money. Betts said that Lamont is “sending the right signals” that he is looking for long-term solutions. However, he wants to see what happens when the budget season begins. 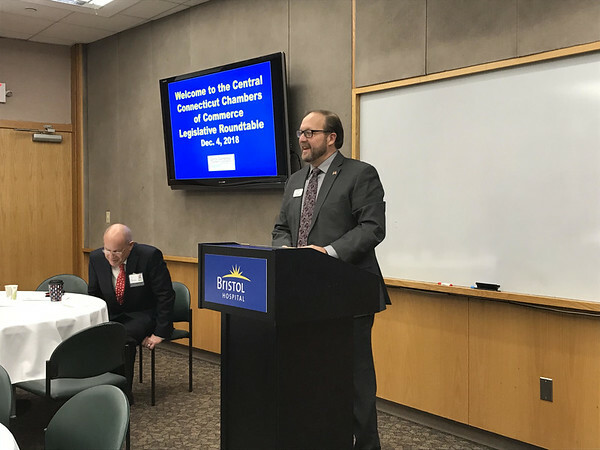 Stephen Lewis, president and CEO of Thomaston Savings Bank, said that Connecticut is facing structural issues that impact its long-term success. Posted in The Bristol Press, Bristol, General News on Tuesday, 4 December 2018 20:25. Updated: Tuesday, 4 December 2018 20:27.